The real problem is on the nose of the crank, the clearance between the nose of the crank and the part that drives the oil pump inner gear was too loose. 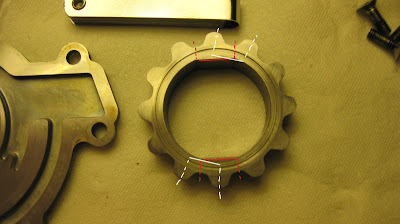 The inner circumference of the oil pump inner drive gear was actually too much larger than the outer total circumference of the crank nose. The extra play had no effect on the motor at low RPM, but at high RPM the harmonic engine vibrations would often prove fatal for the oil pump, usually resulting in absolutely shattered pump gears. This was emphasized as the main problem further by the fact that the biggest risk of failure always came at high RPM and on the rev limiter, it was the full throttle pull followed by the ignition cut on the rev limiter that would result in the leading edge of the drive slamming into the top side of the pump gear, this repeated hammering (even though the swing length was only measurable in fractions of a millimeter) is what leads to the shattering of the gears. 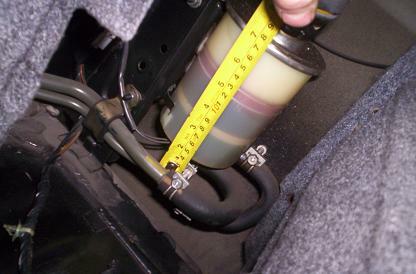 Early signs of this could sometimes rarely be seen by a vigilant driver with a keen eye on the oil pressure gauge. If you notice your oil pressure is constantly low, you may need to Pull The Engine, follow this Guide on Engine Removal. The net effect of the hammering on the drive gears, was that, some of the Philip's head screws that hold the back-plate of the oil pump on, would back themselves out of their screw holes... to the point that oil would leak out of the pressurized part of the pump and right back into the sump, resulting in minimal oil flow through out the block. Over time this would cause engine failure too, just significantly slower then the instantaneous boom and seizure from oil starvation, usually caused by the broken drive gears. Although it was rare to catch this in time, an accurate oil pressure gauge can go a long way. Hard evidence of this is provided in the next following sections. At the end of last summer I started to notice my oil pressure was low, meaning it would not go above 2.5 bar even at 7,000 rpm... so after doing my research I realized it was the classic sign of oil pump failure, the slow kind, that has the backing plate coming loose, not the usual catastrophic type. 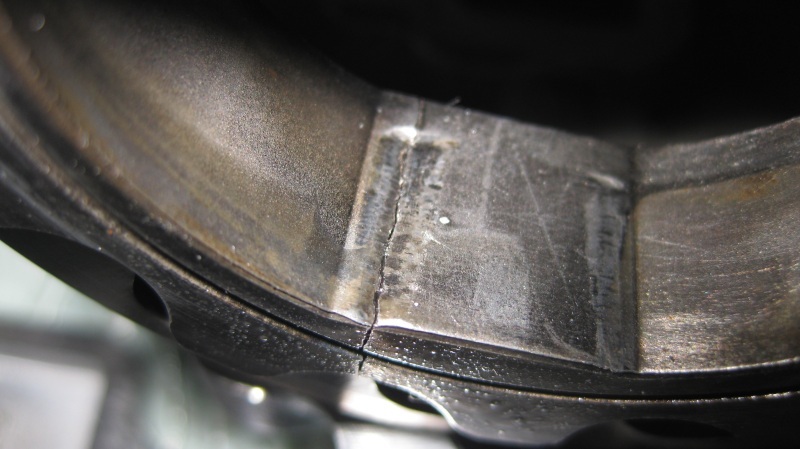 After removing the engine, my concerns were justified, and the issue surrounding oil pump failure was very clear. Here's the reason those screws had come loose. 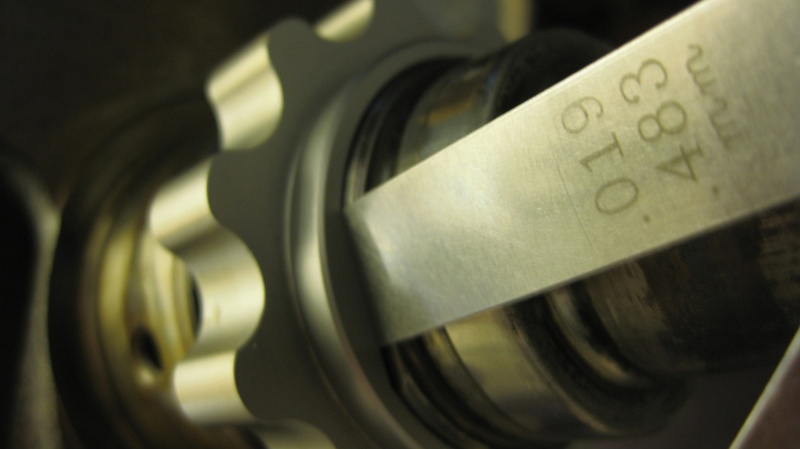 The engagement area between the crank and the oil pump gear is only about 4 mm, and there's a lot of play between the pump and the crank... so at high rpm these things are prone to explode, or in my case vibrate themselves apart. 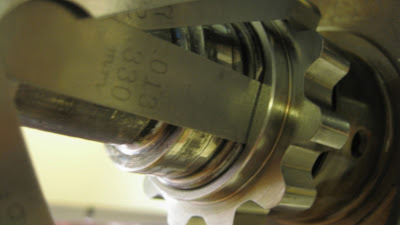 It's very obvious to see the the indentation on the engagement area, that small dent on the crank and gear are evidence of the aforementioned "hammering effect". 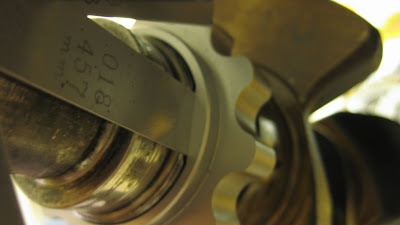 We then look to the crank and bearings to tell the other half of the story. 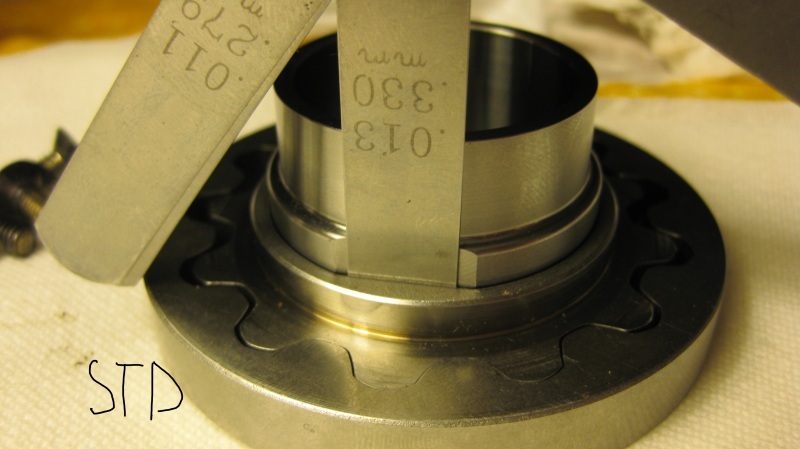 When the crank does not receive enough oil to properly lubricate the journals, due to the fact that, the majority of the oil is being leaked before it can be pumped, the crank journals and bearings will wear out, and show signs of scratching, rough surfaces and heat marks. 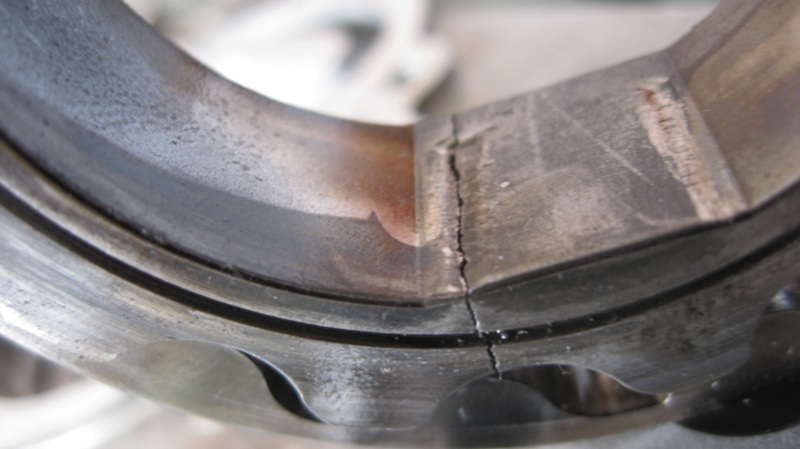 All of these symptoms can lead to bearing failure, which means the end of a running motor. ... and the # 6 rod journal showed major scratches and excessive heat. Attention now on the bearings themselves, the problem becomes even more apparent. Heat and rough surfaces on a number of these shells, tells us that things were on their way to getting bad. 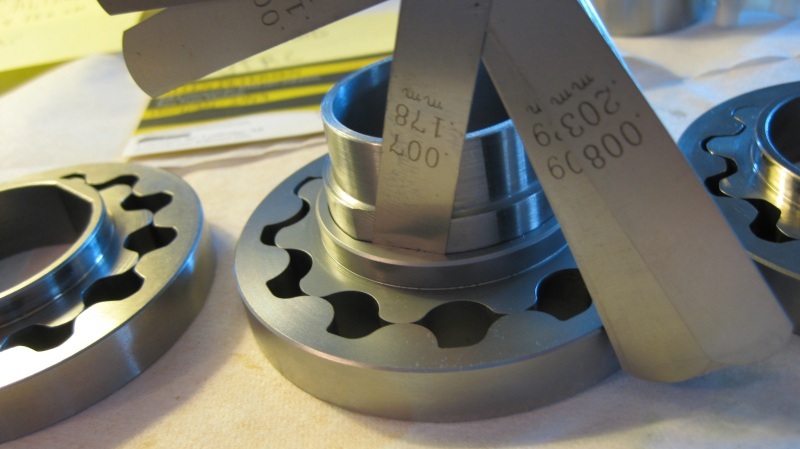 There's a REALLY good write up on How to Assemble the RB26 Engine where they go into detail about bearing installation tips and tricks. This one in particular showed some really excessive heat. 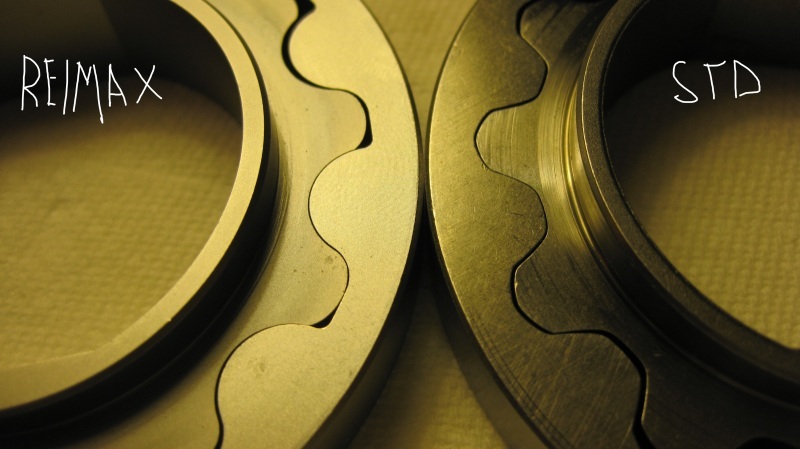 It's clear that, the protective coating usually on each bearing has worn away. It wouldn't have been much longer before this bearing let go. 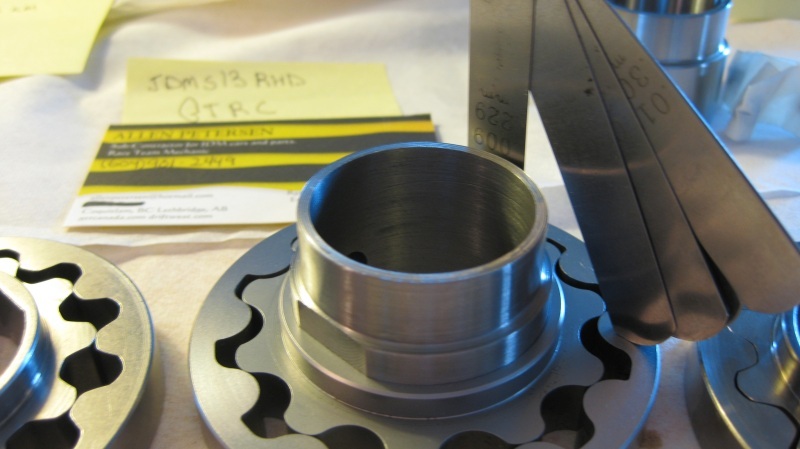 This outlines the real problem with the RB26 oil pump in a basic nutshell. Nismo: Nismo claims comparable output to Stock but uses stronger gears. Here is the pictures of my pump, its amazing how they crack even on the long sleeved crank collar! 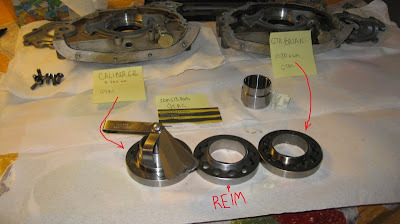 I bought a used oil pump, order a crank collar (from Australia dealer) and a Reimax gearset directly from Japan! 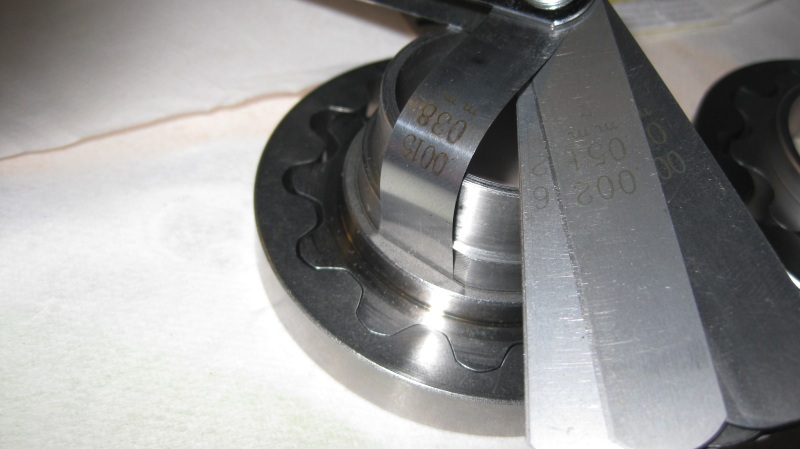 #1 - Outside diameter of the N1 pump is ~77mm, the STD is ~81mm, they do looks like they made from very different materials! I do not have any dots on the used STD pump gears (like on the N1) that i bought from the guy on this forum! I would dream to have the gears already replaced with performance, but im still pretty shure they are stock! N1 Has 11 tooth and the STD has 12! 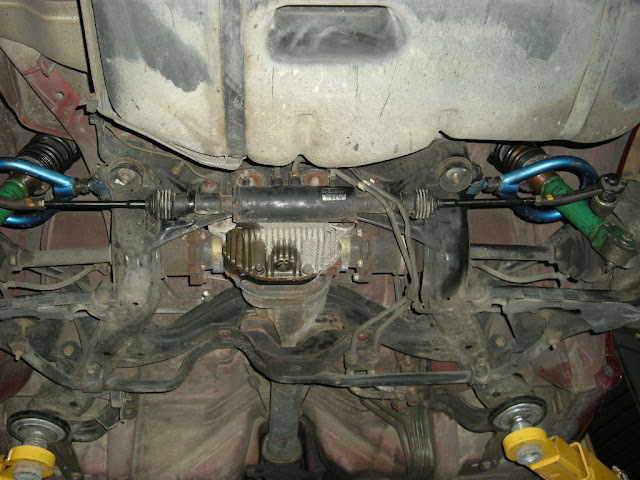 Side clearance on the standard pump is .013 one side and .010 on the other so ~.011 - .012, comes to a ~.006 each side. I think this is crazy large! So if i measure clearance the same way on the Reimax gearset, this numbers are growin even higher! .018 and .016, so comes to a ~.008 each side. OMG. Reimax gearset is ~81mm outside diameter but it similar to a profile of an N1 pump. 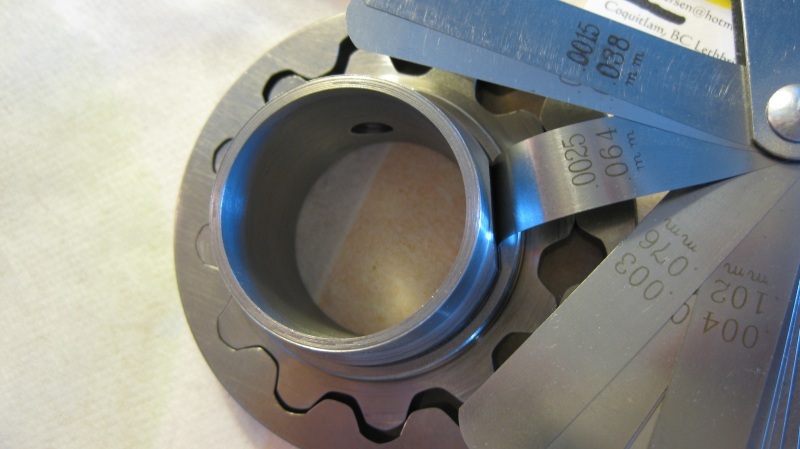 I guess they make that to lower the cost of the product, the inside gear stays the same and the outside (internal gear) is slightly larger(STD) or smaller (N1) depending on the application! But Reimax gear looks very very nice! I received a collar from Allen (jdms13rhd) and all i can say is that im very very pleased and impressed with quality, craftmenship and clearances of the collar! I also received second STD oil pump to doble verify all of the findings! Here is the Reimax set! As i was saying before the gear is larger than stock so, here is the specs on it: 0.007" and 0.009" which comes roughly around .008; much much better than my stock R33 crank! 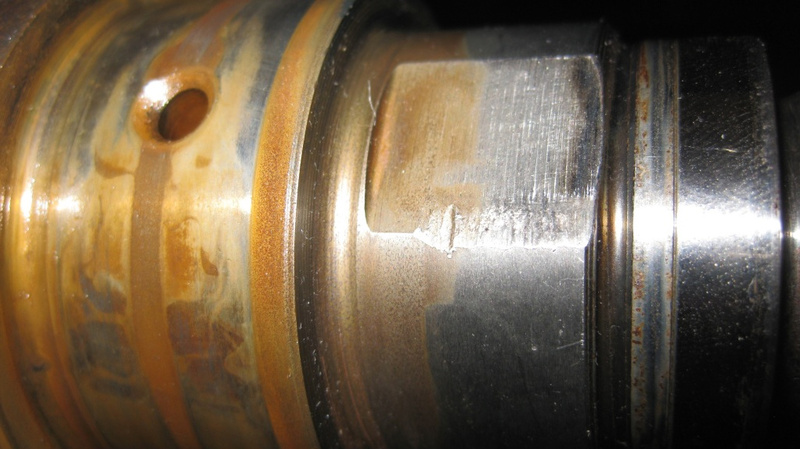 And in the end, here is another stock pump with ~80k km, as you can see clearances are very very tight! .002 and .0025" so ~ .002 each side which = very very good! If you guys can see there is a clear image of the old short collar, the part of the drive where tche collar was not touching is like new, so i can say that my measurmens are practically identical to the new pumps! 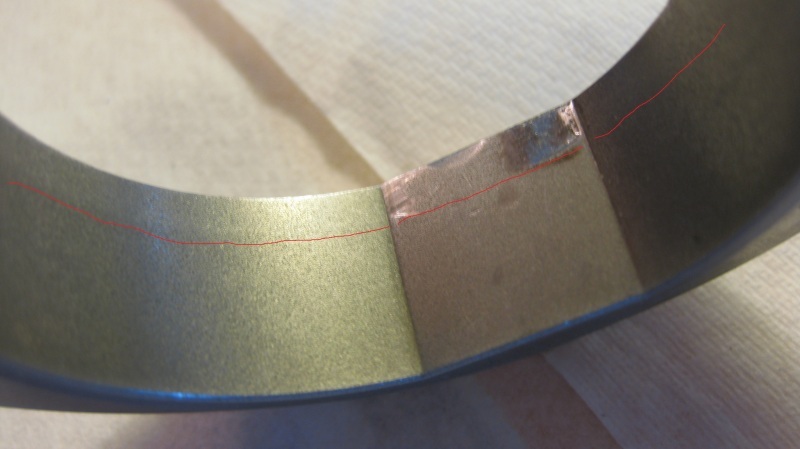 In the end I would like to thank Allan for doing his research on this problem, ask him to use even more stronger metal in the feauture, if it is possible of course (in order to be bulletproof on international market) andrecommend him to decrease inner diameter of the collar by .012 - .025". This, in my opinion will make collar a bit thicker and increase the thickness of the hard working flat spots of collar which make them a little bit stronger. So here is another update withe the measurements of my ~R33 crank! They are not looking very good! 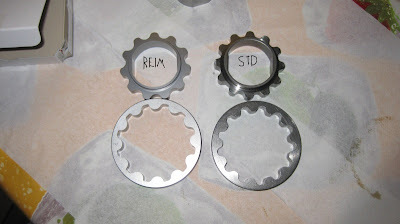 Now with Reimax gears - .019 and .018 SO - ~.009 each side! No matter what metal this would be made of they will brake soon or later with this wobble! In the end i would like to state my opinion, because i see sometimes people are saying that there should be a clearance, if Nissan engeneers did it so there should be one! I would like to say that Nissan almost missed the oil pump with theirs early short oil pump drives, and in the "upgraded" drive they only band aid this problem extending the drive, so no they didn't pay enough attention in that area and the clearances there should be much smaller than what we experiencing right here! 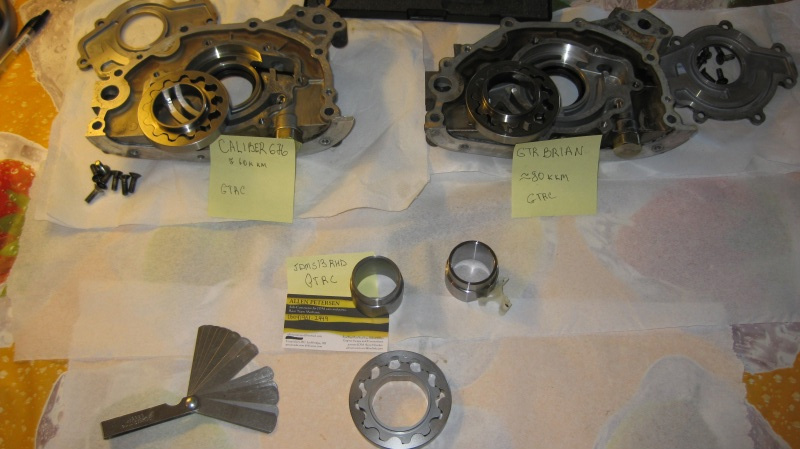 If you're doing an engine removal because of Oil Pump Problems it could also be good timing to Overhaul the rest of the Engine Components, take a look at this Guide on Complete Engine Block and Head External Overhaul and Turbo Swap. agreed stock gear is very weak. agreed don't bounce off rev or staging limiters. if it causes problems with oil pump imagine what other engine parts are stressed. scratch on crank it's a big deal. I think tight clearance causes problems. 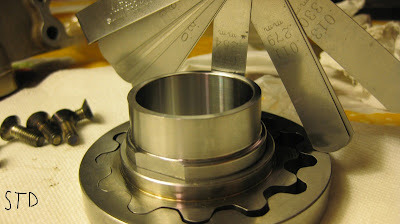 higher rpms require more clearance. Higher horsepower and rpm will surely net more crank flex and run out, too tight a clearance and the pump will destroy itself in much the same manner as having too much clearance. 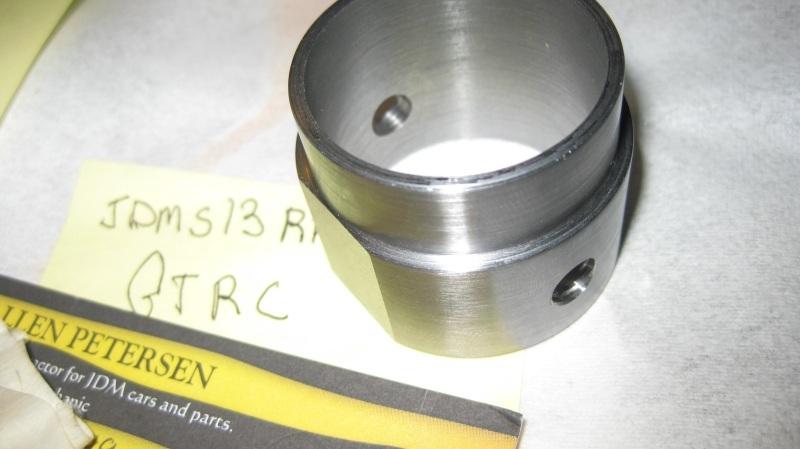 You missed too how much the coller will grow when its actually fitted to the crank snout with the 0.002"-0.003" interference. Adam saiyad here. 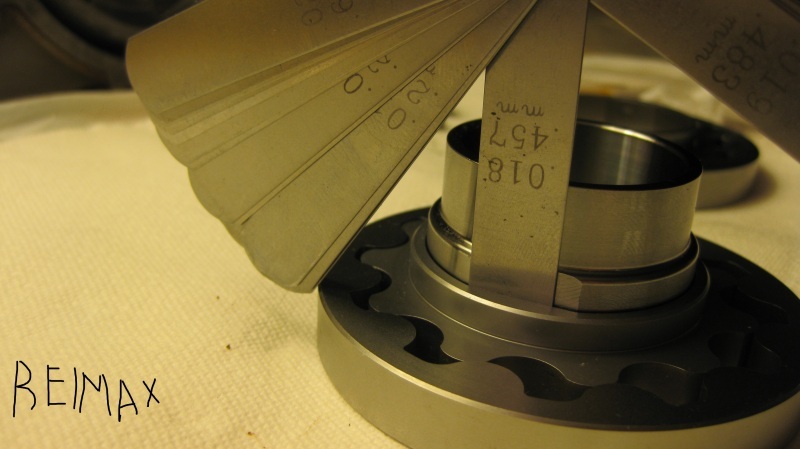 I would like to comment here on Expansion of metals, one thing to consider closely is the operating temps of the crankshaft when in use, also the fact that you have a flywheel attached to the other side as well. Now take in to account that a metal will expand when used and heated . So i doubt the "COLD" Clearances taken above will have any thing to do with operating clearances when the crank is at a elevated temp. So flywheel and use of the clutch system will add temps to the crank through latent heat transfer. Then we have engine oil running through the crank at a temp of roughly 80 Degree C maybe even more on a track. So why not heat the crank to 80 Degrees C and check the clearance with the oil pump then and see . I think the oil pumps rate of expansion on the inner gear at 80 Degrees C will be alot less then the crank shafts rate of expansion. In theory i might have a point but i have never tried it in real life so i cant comment. But everything must have a clearance hot and cold. And if you dont do that you might cause more harm then good?? 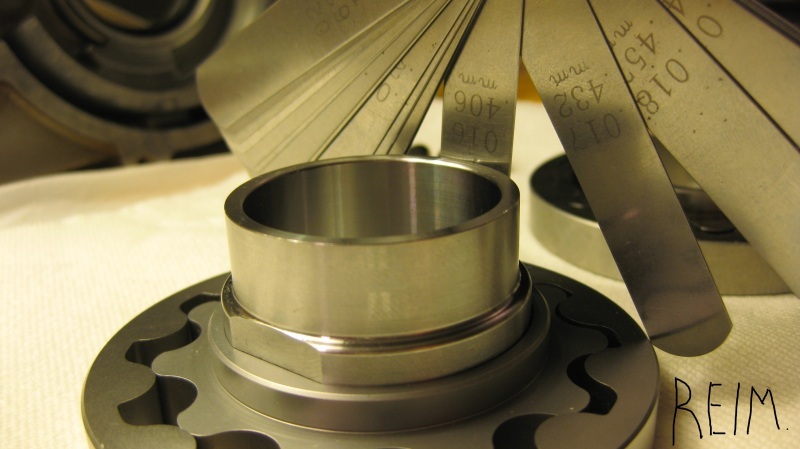 Camshafts and Valves have a hot a cold clearance ? If anyone is willing to do it! email us through the contact page and I'ill be more than happy to include works! 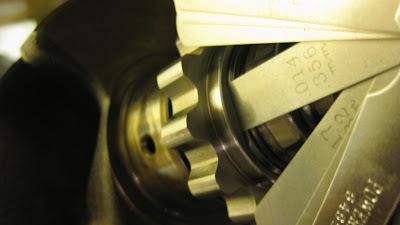 The crank and oil pump gears grow at a nearly identical rate of around 12.6*10^-6 per degree. The crank being 4340 and the pump being 8640 steel. The alloy housing on the other hand grows a lot faster at a rate of around 23.3*10^-6 per degree. The pump housing to gears gets more loose with increased temp. You can calculate it exactly by measuring the outer pump gear diameter and thickness, and multiplying it by the aluminium expansion coefficent and the number of degrees changed from ambient. I am inclined to think that the N1 pumps fail more frequently in rebuilt motors due to people using clearences on the crank mains that are too loose for that pump design. This combined with the crank whip effect (twisting and bending due to forces being applied, and harmonics)cause the pump gear and front housing to carry crank load forces that it was never designed to run. This is in part proven when I ask you "when was the last time you heard of a factory built vspec 2 nur, or R34 N1 Rb26 having this problem". Yes of course, limitor bashing is definatly also a contributing factor. 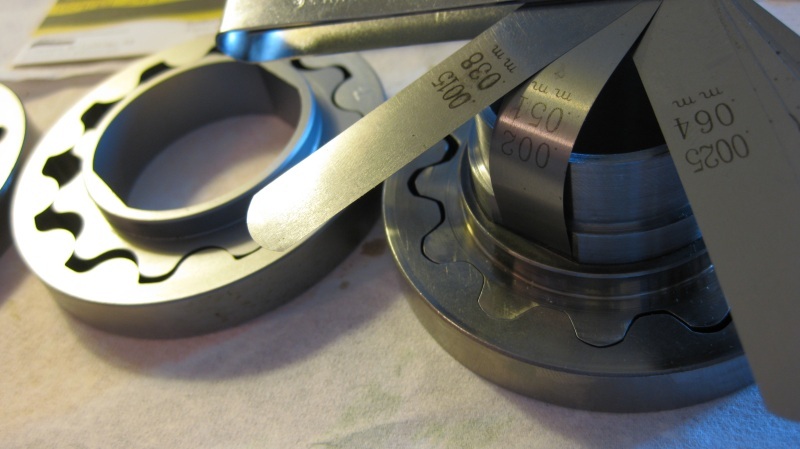 Big main and rod clearences are needed on powerful engines in order to maintain a thicker oil film and cooler bearing journals. Factory main bearing maximum oil clearence is 1.8 thou. Big power engines typically run 2.2 minimum and up to 3. Drag and circuit can be as big as 4 thou. Basically if you run your mains over 2.2 thou then you should use a tomei 3 piece pump or an external belt driven pump. Good insight into the issue GTRNUR, thanks for that bit of info! So if the failure is from the screws coming loose, why not just stake the screws? Happy you like it. It's the people who make the place. Which crank pulley were you using when you broke these pumps? OEM or aftermarket? 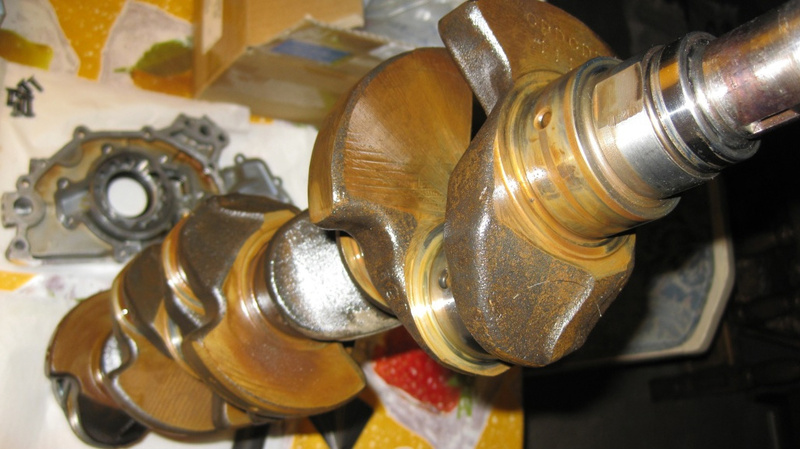 I would expect more damage to the oil pumps with less clearance, as the crankshaft has to move around, especially when people are hitting the rev limiters, or over-revving. 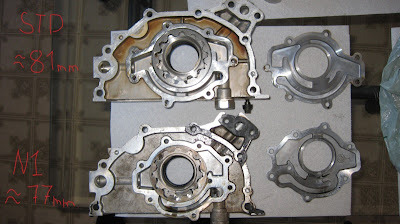 If the Nissan Engineers thought these oil pumps needed more clearance, they would have built that into their N1 Crankshafts. I might have missed it, so what to use? will it be easier to use a N1 crank or 1992+ cranks? the safest bet will always be to use a fresh new Nissan oem crank, there's no difference between an N1 and oem... same thing. I have a 1990 GTR R32 and want to buy a Reimax rotor for the oil pump. It comes in two sizes, the 77mm and the 81mm. Should I get the 81mm since thats what Nissan used on its earlier years? From what I read on this blog its 1989-1991. I just want to confirm this before buying! Thanks! So would be a safe bet to get a rb26 from 91+ will it take away the problem completely? Or would you just replace it with a new crank and oil pump. 92+ is the only "safe" bet, because it changed in the middle of 1991, really though if the engine is out, it's such cheap insurance to just change the pump. ^^ Everything I have heard is that the oil pump fix happened with the model change in 93, not the earlier model change in 91. Allen no longer supplies his crank collars anymore. So, what is the next best option when running an RB30 that have no option of buying a new/updated crank? I have already bought a set of Reimax gears for a standard GTR oil pump. And I bought a crank collar from a fella in New Zealand. But my clearances with the crank collar (not fitted) and the Reimax gears is over 0.021" total and is very wobbly!!!!!!!! So, what's the next best collar? @ ANon^^ your best solution at this point is likely to see a local machinist or engine builder and have them machine you a piece to directly fit your needs - that way you can be self-assured you have the clearance you want! So I have an RB26 R32. 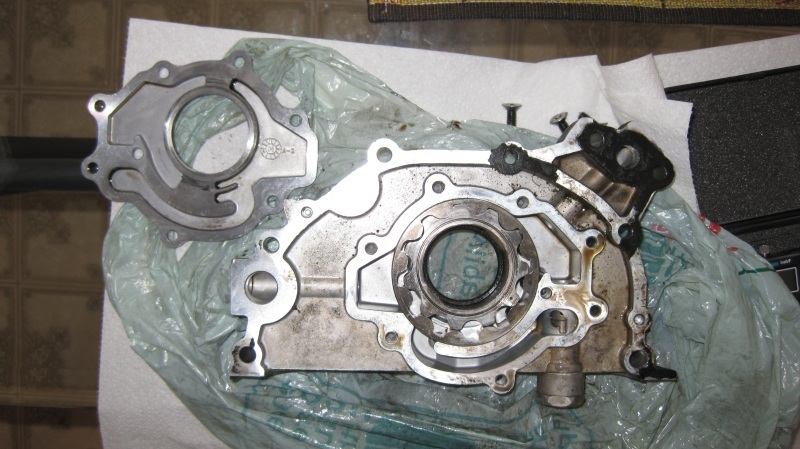 Is it OK to just change the Oil pump to a N1 oil pump? Depends on what year, but usually the issue is with the crank and not JUST the pump. I spent some considerable time looking into this issue. Basically Nissan changed the RB26 on all r32's after February 1993. So any build prior to this point would have had the Achilles heel of RB26's. My tuner has set rev-limit to 7k, until we can open it all up. Hope this helps people. So if I have a 91 engine can I just pull the engine, oil pan, pump etc and replace the crankshaft with one newer than a 93 with a new pump and be good? From my understanding the only specialty tool I would need would be a torque wrench for torquing the sleeves and crank back down to spec? 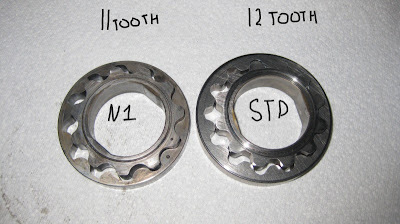 Is this correct and a bolt in affair or is each crank/bearing machined specifically for each other? Thanks for the awesome write up and all of the replies! @Pelliccio7 - Well, on my red gtr that's pretty much how they changed my crank and oil pump and bearings, go check out the build story section, 3/4 of the way down the second gtr story. 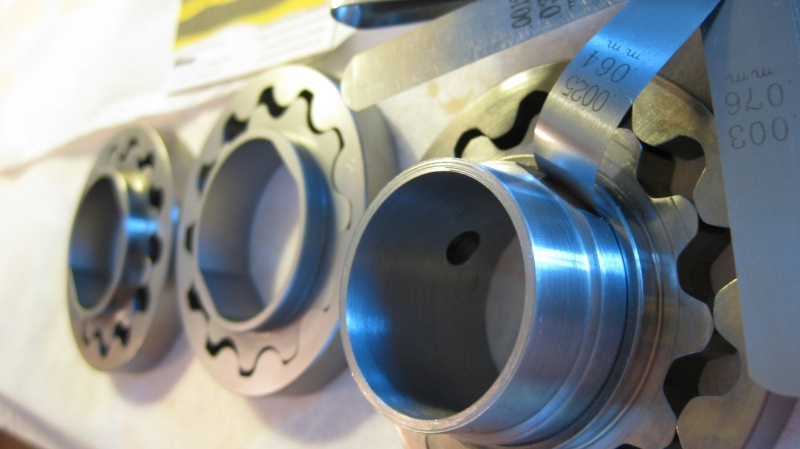 Next best option would be to use a spline drive setup, we have developed a kit based on a 2JZ drive system and that is now available for N1 77mm, OEM 81mm , JUN and Tomei oil pumps. I'm looking at a car at the moment and am in a strange situation where the best I can work out the car was built IN February 1993. Tim M has said here that the oil pump issue was fixed AFTER February but I would just like to clarify this. The car has a chassis number starting with 300 and when I look at a picture published on another source it looks like there was a change in model in February as that's when the chassis codes changed. If someone could have a look and confirm on this it would be much appreciated. So whats the conclusion? 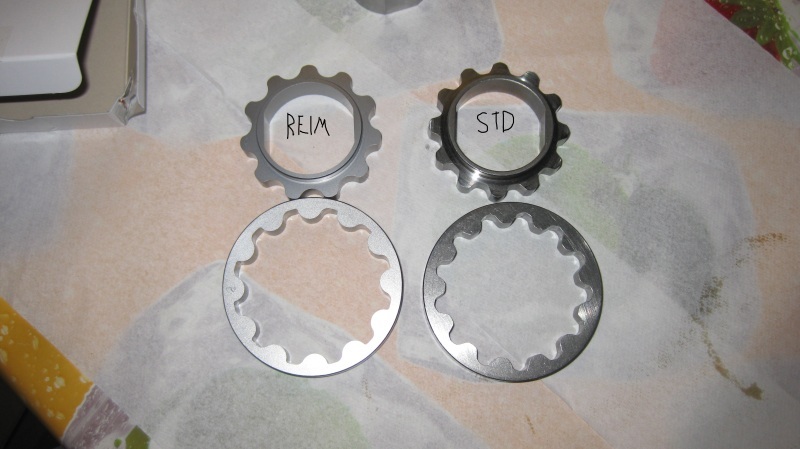 Are Reimax gears any good?